Founded in 1933, M. Fine Lumber Company has been recycling lumber in New York City for over 85 years. We are the leading supplier of recycled lumber in the tri-state area, catering to architects, designers, furniture makers, and the general public, with locally salvaged lumber. M. Fine Lumber Company salvages lumber from local demolition projects and currently supplies recycled lumber to customers all over the world on a wholesale level. Our thriving retail reclaimed lumber sales are open to the public, and we sell to a large number of walk-in customers. Our core clientele consists of furniture makers, architects, designers, bar/restaurant owners, and do-it yourselfers. Whether you are building an open concept office or just redoing your bathroom, we invite you to check out our yard, pick out the material you want, and schedule a delivery or pick-up. Founded in 1933, M. Fine Lumber Company has been recycling lumber in New York City for over 85 years. 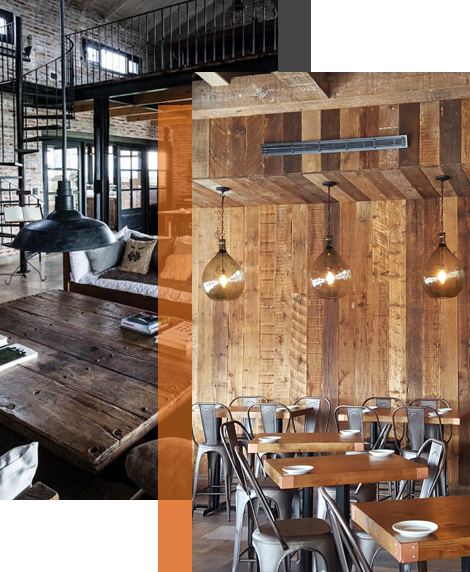 We are the leading supplier of reclaimed wood in the tri-state area, servicing architects, designers and the general public with locally salvaged lumber.